this is what you're supposed to be about, right? 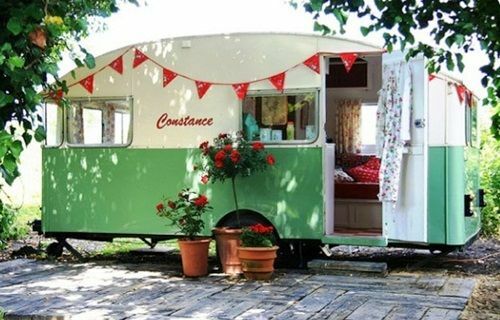 Tooling around the country with a cute little vintage camper? 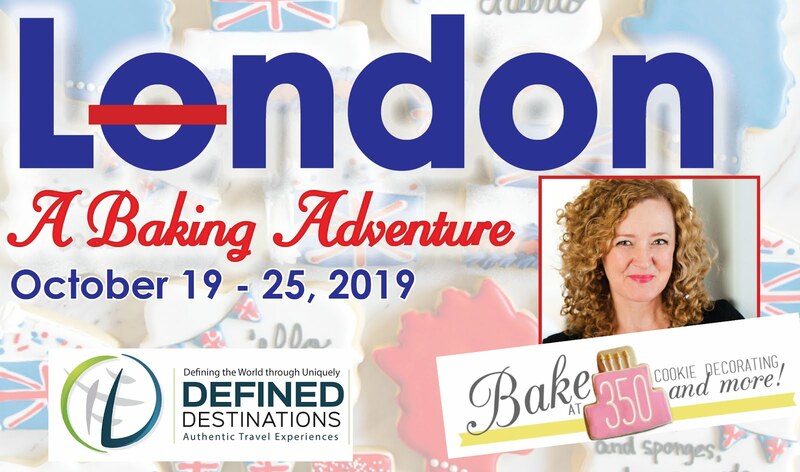 Visiting national parks, roasting hot dogs, making s'mores? You are NOT supposed to be about massive flooding, wildfires, and drought. So long, summer. This is the end of the road; we're breaking up. I'll miss your delicious tomatoes and juicy, sweet peaches. But still, we're through. It's not me, it's you. My new love Fall will be along any day. And guess what? We're going camping. 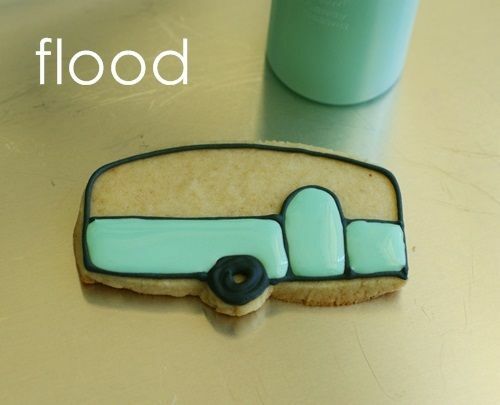 Well, at least we're making camping cookies. First, with a #2 tip, pipe a wheel on the camper. Outline the campers in black, using a #2 tip. Since we're working with black, give it a little extra time to dry. I outlined the cookies, folded laundry and ran to the grocery store before filling. 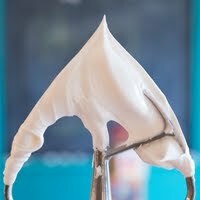 Thin the white and green icings with water, a little at a time, until it is the consistency of thick syrup. Cover with a damp dishtowel and let sit several minutes. Fill in the camper with the thinned icings. Use a toothpick to guide into corners, edges and pop any air bubbles. Let the cookies sit for at least 1 hour. Again, since we're working with black, I'll give it a little more time. Go for a walk, play a board game, watch Real Housewives...give the flood at least an hour to set. Use a #1 tip to pipe the window in black. Use a #2 tip to add details in red. See ya next year, Summer. These are most precious! 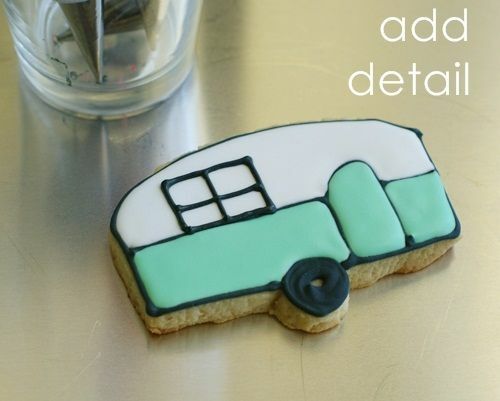 Now I totally want to go camping in a camper just like that. So fun! I agree...so over this summer! I made some tear drop camper cookies earlier this summer. They would look cute next pulled up next to yours at the campground! ok these are SO cute!! and you know I LOOOOVE the colors!! The cutest farewell to Summer ever! i love, love, love your cookies. 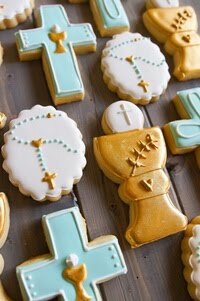 it makes me want to attempt to decorate cookies which I know will be a complete and total disaster but I just need cute cookies like yours. 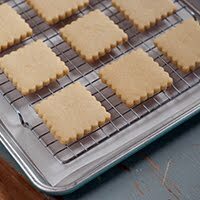 I know I say this all the time, but I think those are my favorite cookies you have made. They are beyond adorable! 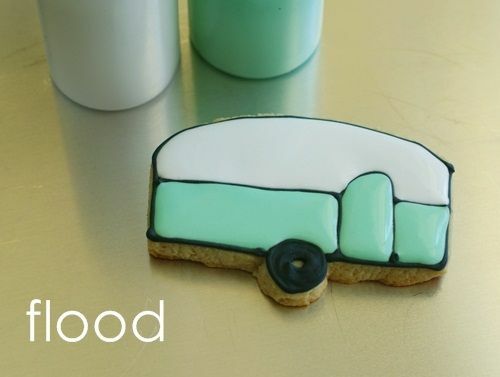 I don't usually comment on blogs (major lurker), but I LOVE these cookies and the real camper inspiration is so adorable. Those are adorable and I cannot agree more with you about waving buh-bye to summer 2011...it has not been my favorite. Wow, Bridget! 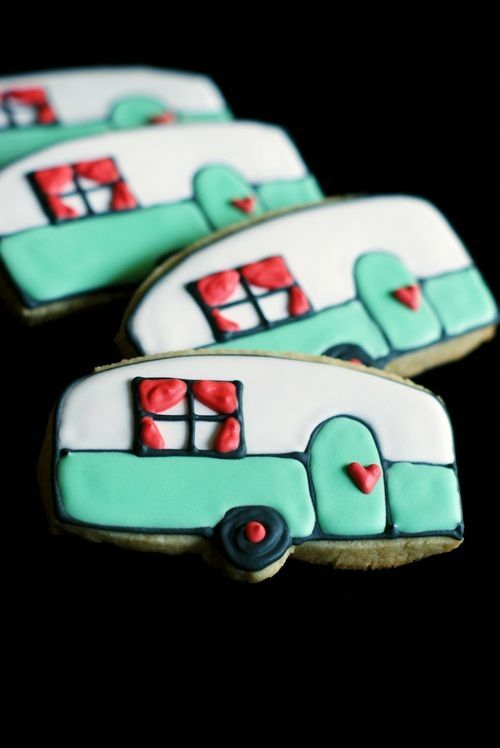 I want the camper and those cute cookies! So beautiful! But I fear that my sad little cooking skills won't get me past the cookie cutter stage. :( I'll just have to admire these from afar. They are soooo cute, I love the colours! 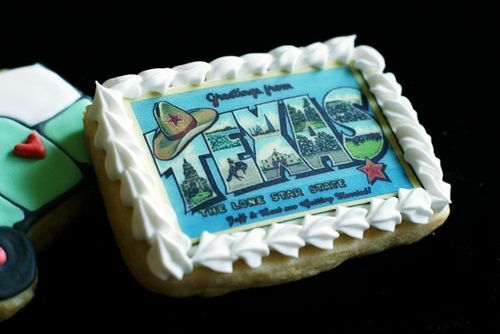 Que lindas y originales te quedaron estas galletas. Congratulations!!!! 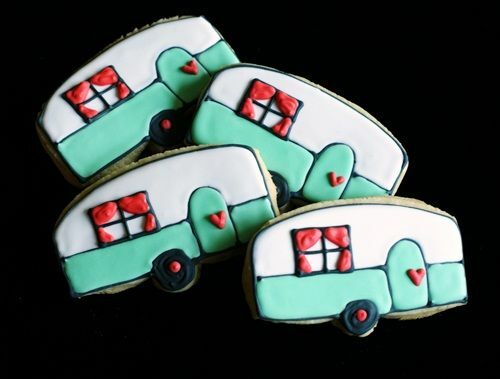 Super cute camper cookies! Thanks for sharing! 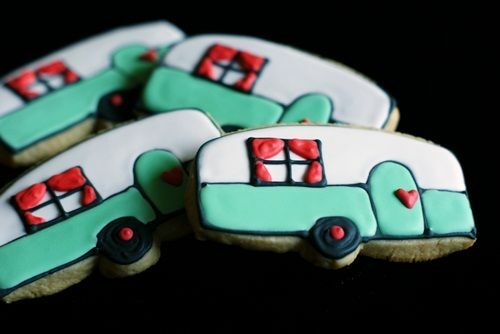 I am in love with those cookies AND that vintage camper! LOVE that color!!!!!!!!!!!!!!!! I'm not much of a camper but if I had something that adorable I might reconsider! 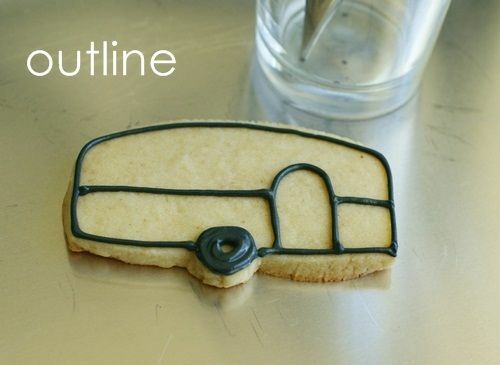 Cookies are darling. Hoping your predictions for winter are as right on. Colorado didn't suffer from the major wildfires that can so often devastate our state (though usually in more mountainous regions where less people are affected what the poor people of TX have had to deal with) so we seemed to have escaped some of the natural disasters throughout the rest of the country. Hoping the snow Gods don't make up for it this winter! I love the campers. Your are so creative. I spent an hour showing this website to my mom on her recent visit. She loves them too. Adorable and I'm with ya, good riddance, Summer 2011! 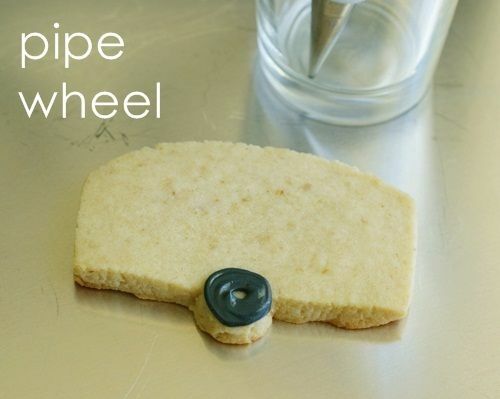 Leave it to you to come up with the cutest darned Pinterest-inspired cookie! Happy camping! 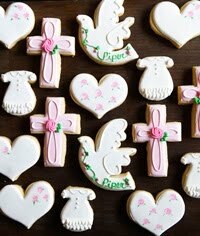 these are soooo cute Bridget! and yes Im so over Summer or is it Hell?- cuz I cant tell the difference. Those are the happiest camper cookies I ever did see! Hugs from Bainbridge my friend! The moment I saw that camper on Pinterest I WANTED it. I love it so much! 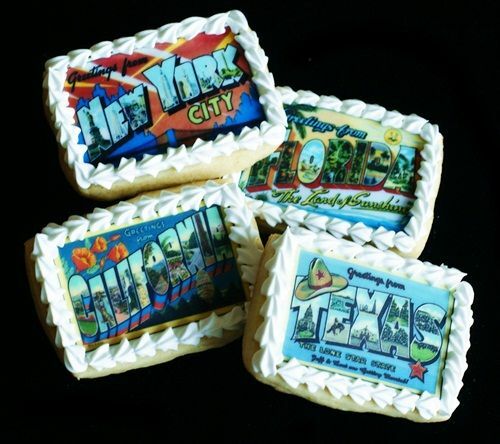 Those cookies are fab too. Love them! these are so cute! Man you much have such a steady hand!! I bow down to you! 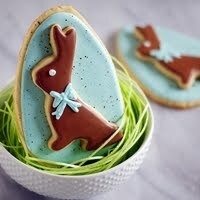 BTW, these cookies are so CUTE! Great job!!! these are adorable! I have a long way to go in practicing food presentation before I'll be able to submit one of these! :) awesome job! 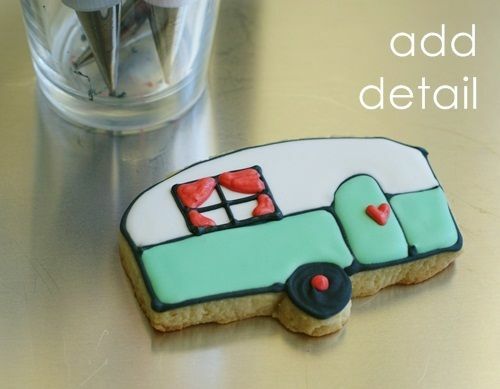 I love vintage VW campers - if I can't own one, at least I can make these cookies! Thanks for sharing the tutorial. What an adorable camper!!! PLEASE tell me you're renting that one in the picture next summer!!!! Love, love, love. I've posted your link on the TrailerChix FB page. 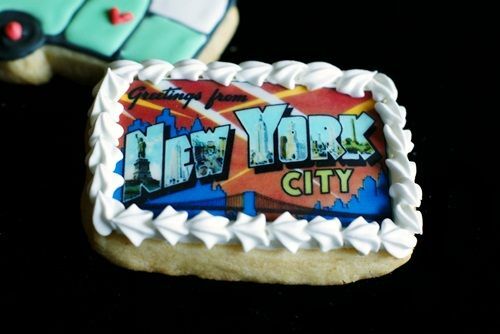 How cute are those cookies???? 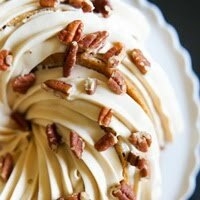 I write a cooking blog, too, and I am a full-time RV'er. 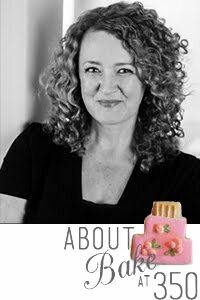 If you would like, please visit me www.bakedlava.com I'd love to promote your blog to my readers, not that you need it...you have an awesome following, and I am now one of them, too. Great blog, I love it! These look AMAZING. Great recipe. I might have my wife try this recipe.